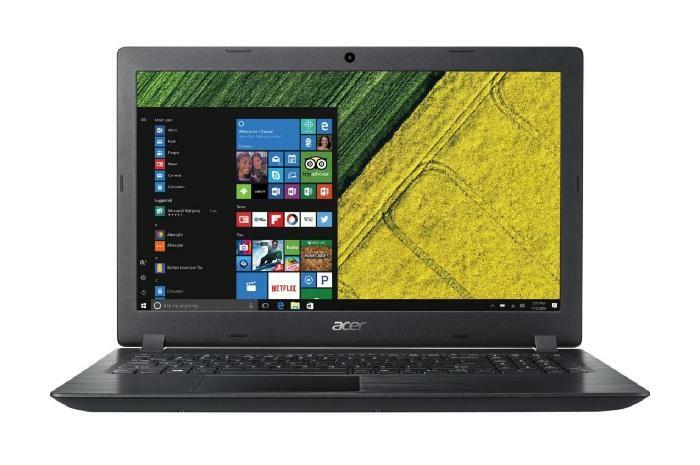 The Acer Aspire A3 with an AMD A9 processor and 6GB of RAM is just $260 at Staples today. Laptops come in all shapes and sizes, but it’s always nice to have a traveling “workhorse” laptop that you can take anywhere without needing to worry about banging it up too much. We’ve found just such a laptop for a great price. An AMD A9-based version of the Acer Aspire A3 is just $260 at Staples today. That’s about $80 cheaper than Amazon’s third-party sellers right now, and is actually lower than the best historical sale price for the Amazon Marketplace. Staples’ deal expires on Saturday. This laptop features a dual-core, 3GHz AMD A9-9420 ”Bristol Ridge” processor with integrated Radeon R5 graphics, 6GB of RAM, and a 5400RPM 1TB hard drive. The 15.6-inch display’s resolution isn’t anything to write home about at 1366-by-768, but it’s good enough, and you can’t really complain at this price. The battery life is pretty average too, with an endurance claim of up to 5.5 hours. But this Aspire A3 should be light enough for most people, at 4.63 pounds—anything over 5 pounds and you have to start questioning your purchase decision. For ports, the laptop has one USB 3.0, two USB 2.0, one HDMI with HDCP support, ethernet, headphone/lineout, and the usual Kensington lock slot. We haven’t tested this version of the Acer Aspire A3, but with its hardware arsenal the system should work well for everyday computing tasks like web surfing, video streaming, email, and the like. Expect it to prove adept at running PowerPoint presentations and other Office-style productivity tasks as well. At just $260, it’s a great way to get a workhorse Windows 10 machine on the cheap.